Cruise into the Hawaiian Sunset! 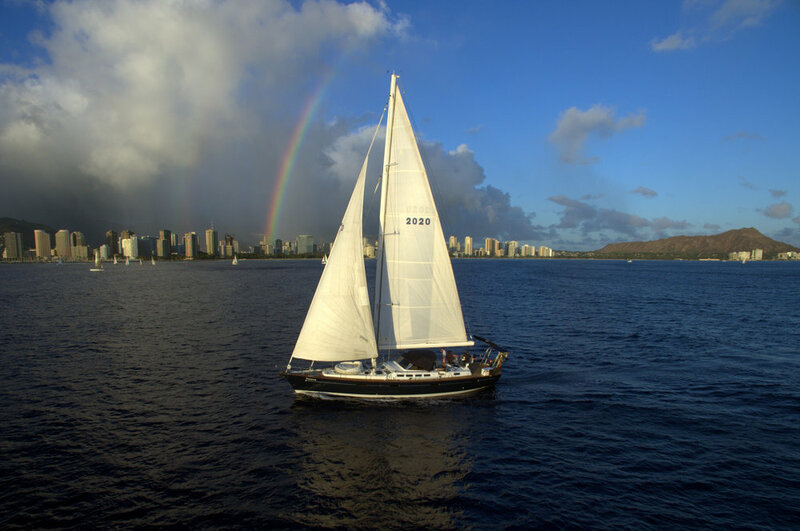 Step aboard the yacht and enjoy a complimentary beverage before departing out of the Ala Wai Small Boat Harbor located on the west side of Waikiki. Enjoy watching surfers catch a wave at "bowls" surf spot as we round the mark and hoist the main sail. Catch a glimpse of a turtle in the afternoon glow as we head off Waikiki Beach, sailing upwind towards Diamond Head. Head up to the bow of the boat as Koko Head and Koko Crater come into view before rounding the mark and sailing downwind towards Honolulu. Bask in the glow of the stunning Waikiki Sunset before concluding this amazing tour.